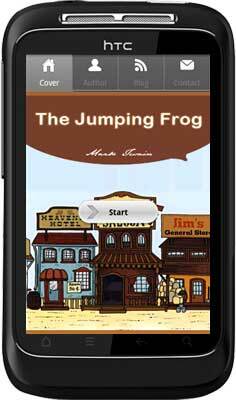 The Celebrate Jumping Frog in Calaveras Country wrote by American icon Mark Twainthrough his personal experience base on the southwestern way of life. By reading this book, you can develop particular insight and appreciation about Mark Twain unique humor and realism. 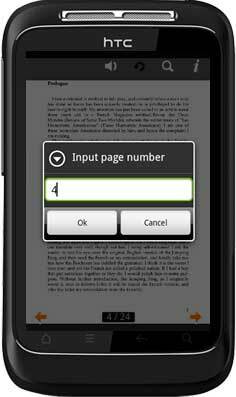 This book is built in the form of Android app. 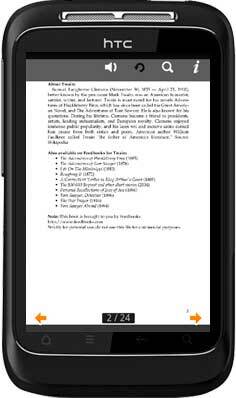 You can easily install it in Android-powered devices and then view like reading a realistic page-flipping paper book. 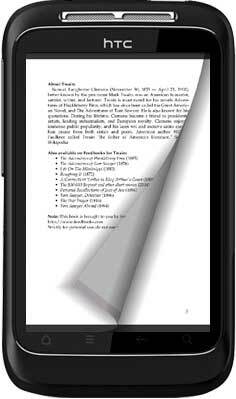 Soon after you will love this reading form and desire create your own android magazine app with PDFs in hand. Android magazine app maker enable you to make PDF and image files to Android apps without any programming skills. Embed audio file, cover, blog, email address, inner and outer page skip, all the humanized design make reading much more comfortable and attractive. 1. The standard cover of The Jumping Frog. Notice that you can click the top foour icon to enter the page you want. 2. The common page without thumbnails on the bottom, you can click left and right arrows to flip or directly flip the page corner or edge. 4. Click the bottom page number area to open then "Input page number" window for skip to the specific page you want to quick access to.